On Saturday the annual April Fools Cup was played, with lots of mixed emotions and confused reactions, all depending of course on how you played. Arend De Waal and his partner, Harry Odendaal, did not play that well finishing the day with only 12 points. OOPS! For those of you who don’t know how it works it’s very easy, 4 Ball Worst Ball, with the worst score of the two-ball counting rather than the best, and NO it’s no April Fools joke. The tournament was introduced many years ago by the late Dirk Hertzog and in his later years he decided to introduce and sponsor a competition where his score would still “count” in the competition. The kicker is the highest of the worst scores who gets crowned the April Fools Cup Champions for the year. 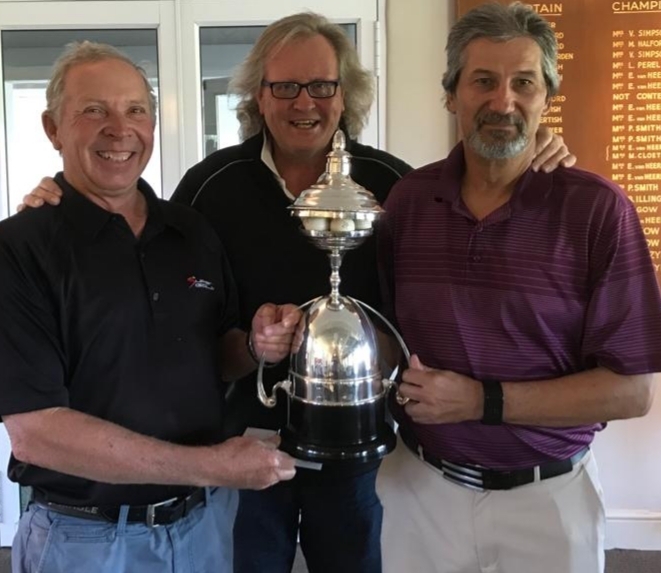 Winning the upside-down trophy in 2019 with 33 Stableford points (worst ball) the combination of Des van Heerden and Johan Mouton – great golf gentleman. Last week Wednesday we kicked off the 1st of 4 Beyerskloof member days for 2019 and as always it was a day second to none! How good was that halfway house complimented by a glass of Pinotage? Sitting there I thought to myself: "Can this day get better?" Hard to believe, but it DID get better - the prizegiving is always brilliant and exciting! Compliments to the team of Beyerskloof for yet another perfect Pinotage Wednesday! The Champions of our first Beyerskloof Day for 2019, and it’s all smiles! 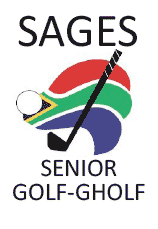 What a privilege to welcome the SAGES to Stellenbosch GC on Sunday for their annual National Championship. To see these senior golfers and the passion they still have for life and golf is something we should all be striving for! 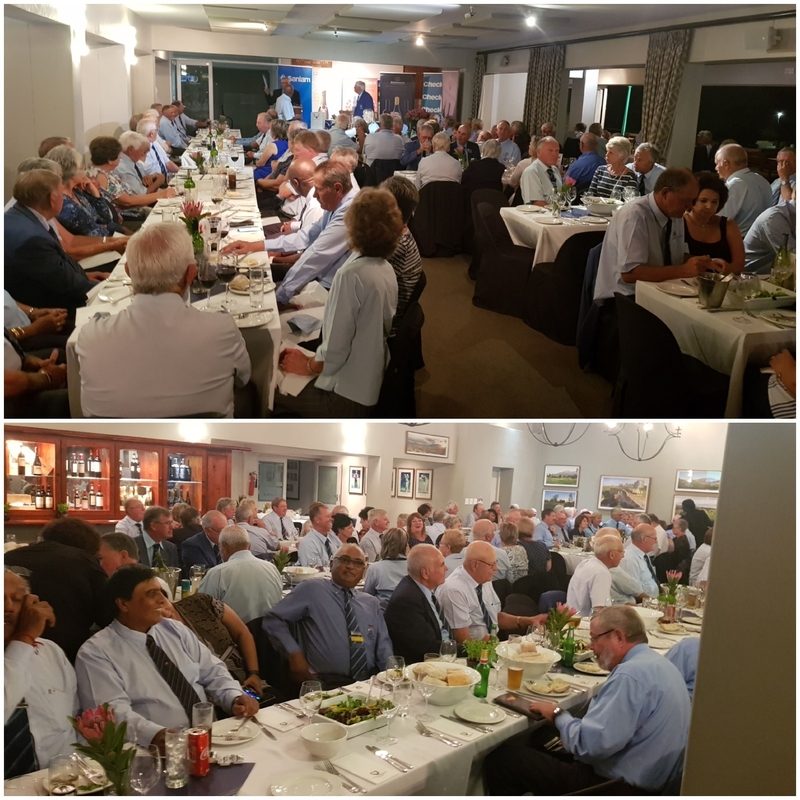 With just over 300 golfers participating at Devonvale & Stellenbosch on Monday and Tuesday and then 323 joying us for dinner on Tuesday evening, it’s been a busy week. 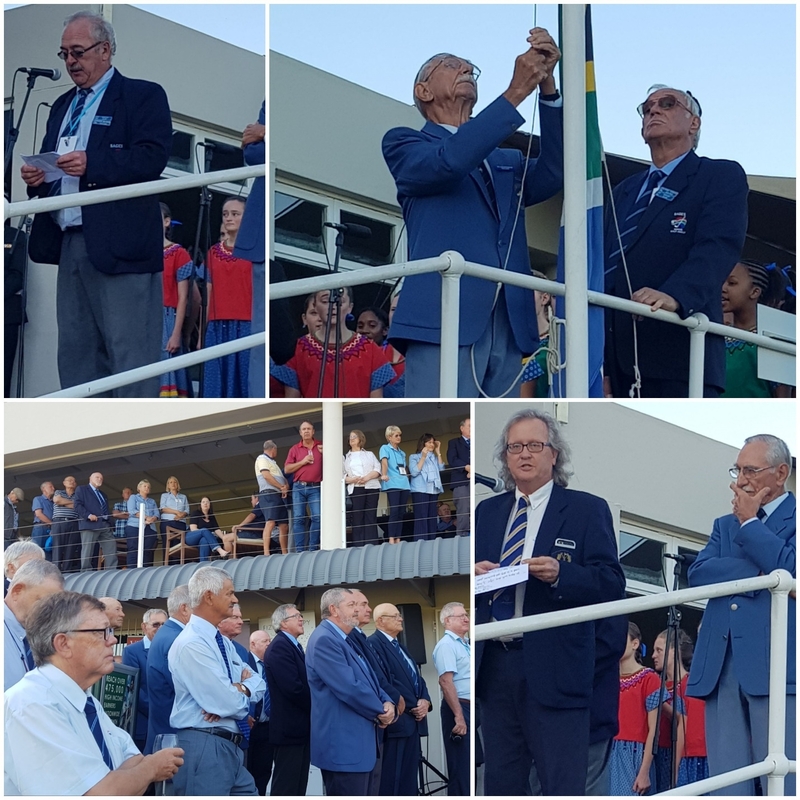 The opening ceremony/flag raising was particularly special with Stellenbosch GC member oom Willem Oosthuizen at age 86 raising the South African flag as the Tygerberg Choir sang the National Anthem - emotional! They are back today and tomorrow after a rest day yesterday. On Friday evening we will be saying farewell to them with a gala dinner welcoming all 320 back one final time! It’s been an absolute pleasure and privilege to host you for the week – to many more rounds of golf! Par 3 Wednesday would not be the same at Stellenbosch GC if it's not played. Sadly, this year because of the SAGES tournament we could not do our Par 3 tournament, but for those playing yesterday, we added in a little special par 3 competition in the normal competition. The event had its own score card and the better balls became an alliance on the par 3’s. The setup of the four par 3’s was a talking point throughout the round and long after the round. 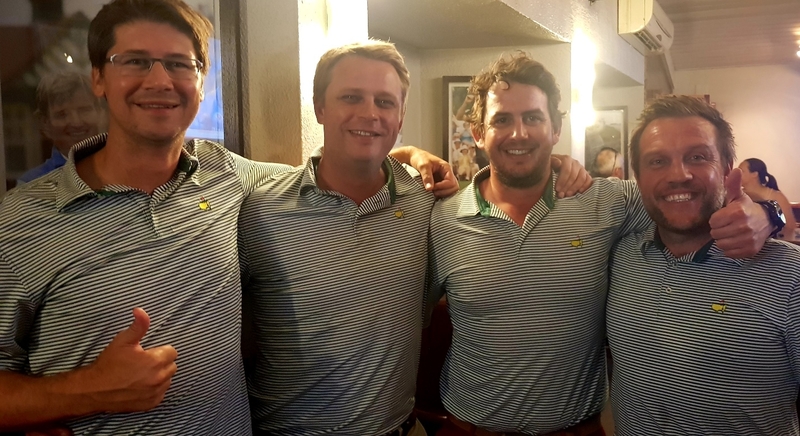 Winning the par 3 competition was the awesome foursome of Kurt Geiger, Harry Ludwigs, Piet Le Grange and Billy Cooper scoring 29 points. What you also missed out on is buying a number between 1 and 87. These numbers were allocated to players this morning as per their tee times. If you did buy a number, have a look who your player is. Suddenly your eye is on one more player than usual – who knows, maybe you are the lucky member walking away with a brand-new Titleist Tour Bag? Our Masters betting book is also looking good with around R4000 in the kitty. 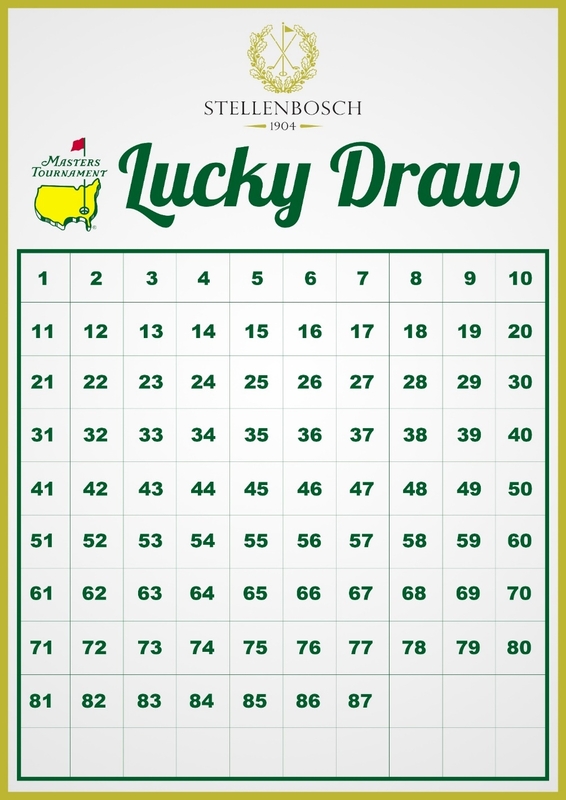 Here you still have the opportunity to make a bet as long as it’s done before the first tee shot is hit later this evening! Let us know ASAP. Wine boys getting into the Masters spirt last night…It’s Masters Wednesday! I’m looking forward to a special couple of days of golf and let’s hold thumbs for a special Sunday. We might do a get-together at the club on Sunday to watch some golf – you never know!